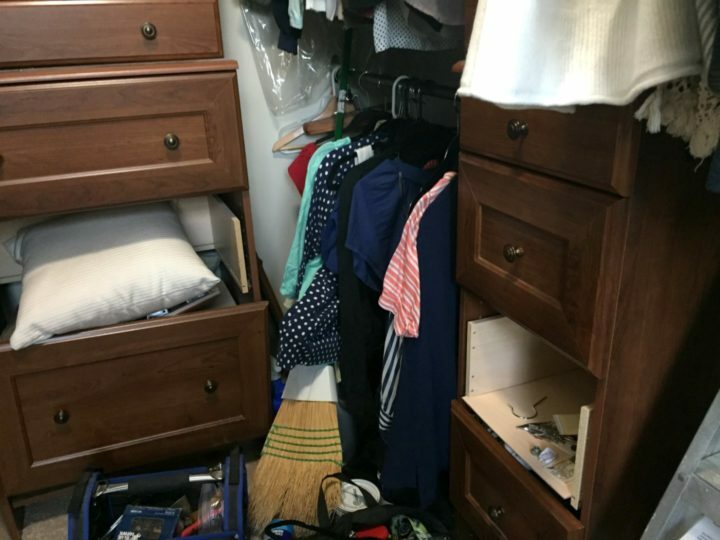 My master bedroom closet: what once was a nice upgrade has turned into something that’s completely falling apart! 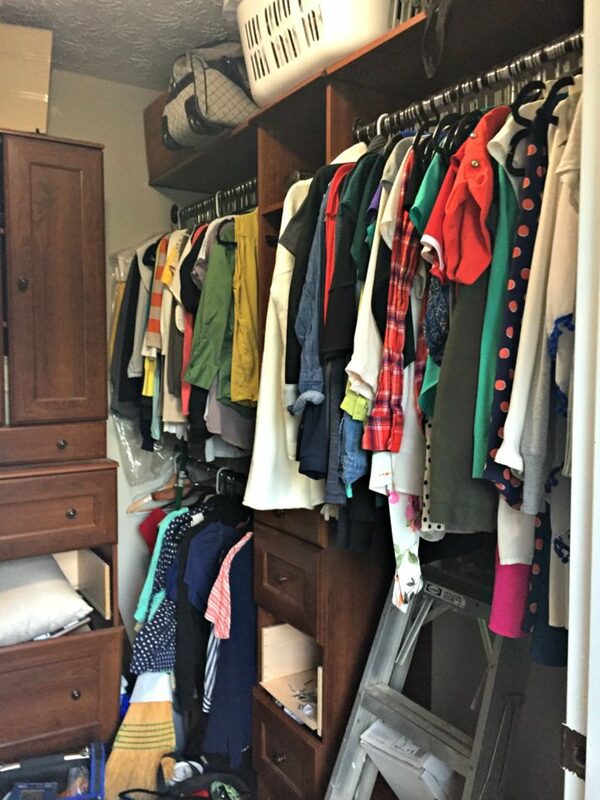 Within the first year of starting this blog, I wrote at length about converting the three boring hanging poles of my master bedroom closet into a more robust closet organization system. It was fine… for a few years. But I bought all of the pieces on steep clearance from Lowes, and it all came together somewhat shabbily. I most definitely got what I paid for, and spent years trying to make it work. The bottom drawer along the back wall kept falling out of its track (the frame was slightly too wide and kept pulling the drawer apart). I realized that I never really used the upper cabinet space. And soon enough, other pieces began to fall apart. After redoing the tile in the master bathroom and realizing that I might need an access panel (in the wall that separates the closet from the maser bath), redoing the closet while I’m at it would be a perfect excuse. When it comes to remodeling a house, there are certain projects that you wish you could redo. This is one of mine. I’ve written about it before, but there’s a big difference (and most homeowners come to realize this over a few years) between how you imagine you’re going to use a space and how you actually use it. Unfortunately, you don’t quite know it until you’ve lived in a house for a while, when drawers sit empty and shelves are too short. And that sometimes leads to a good, old-fashioned project revamp. So, that’s what I’ve finally decided on doing. Buh-bye, broken old closet system. Time for one that I build instead of relying on a closet system that won’t line up or baskets I’ll never use. Luckily, my build skills have grown too, so I am in much better shape to give myself what I really want. The other night, I started drawing up what I think would be ideal for the kinds of clothes I have and how I like to put them away. For one thing, I hate hanging clothing unless it’s absolutely necessary. I have a lot of bulky sweaters and (somehow) way too much underwear, so I need ample drawer space. Same goes for too many t-shirts (I’ve tried to purge, but I’m still left with lots of ones I can’t part with) and tank tops. Since shoes are stored in a completely separate place, I no longer need baskets on the floor for shoes. And I’ll need one section for dresses without it running into a lower hanging pole (one of the errors I made with the last closet design). Christmas ornaments will go up top (I have some old family ornaments and I have read extreme temps can tarnish/dull glitter, so I keep them stored in the closet). 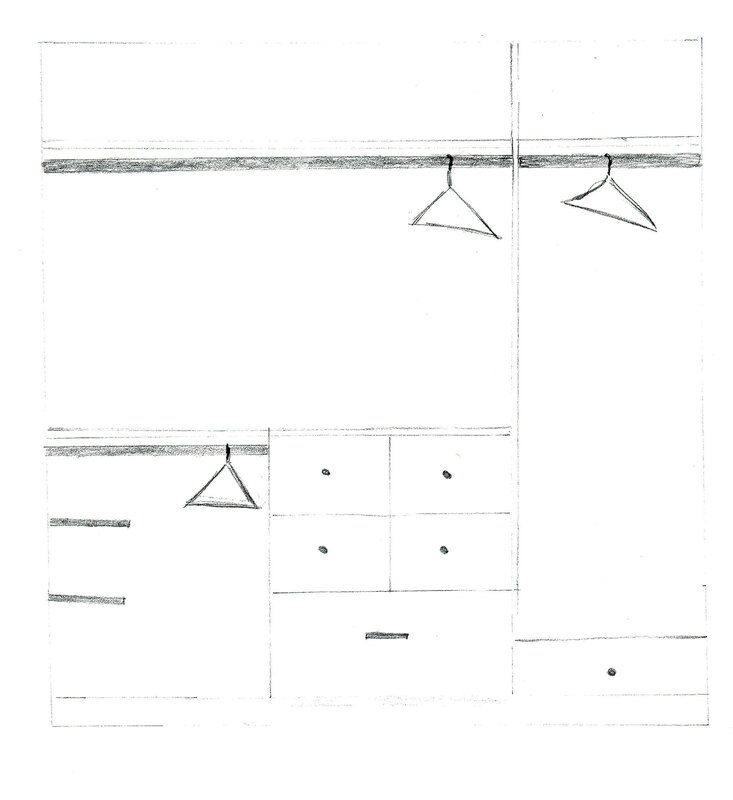 After looking at a ton of design options online, I’ve come to a combination I like: several larger drawer spaces, stacked open shelves on one side, and simplified hanging areas along the back. I scanned these drawings and turned up the contrast, so hopefully this translates well enough for you guys to picture it, too. I’ll eventually sketch these up in 3D as well. But sketching it out felt strangely good; just me and pencil and paper, quietly drawing up a new design. Have any of you done a closet revamp? Do you have anything you wish you would have accounted for? Happy Friday! P.S. 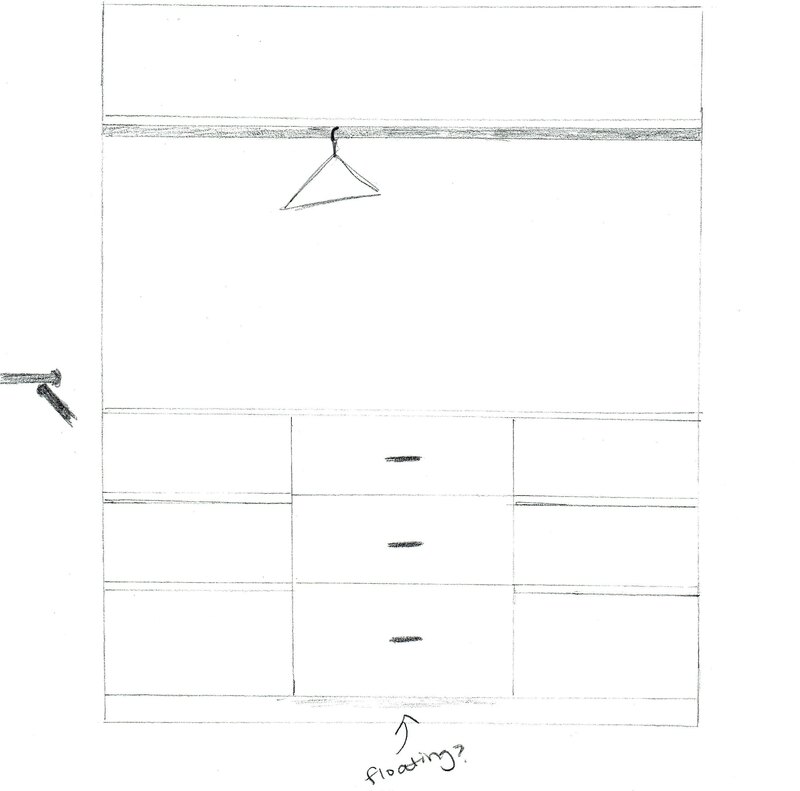 I also redesigned a new idea I’m kicking around for a taller dresser (#GiveMeAllTheDrawers). It’s based on a photo of a cartographer’s flat file cabinet. 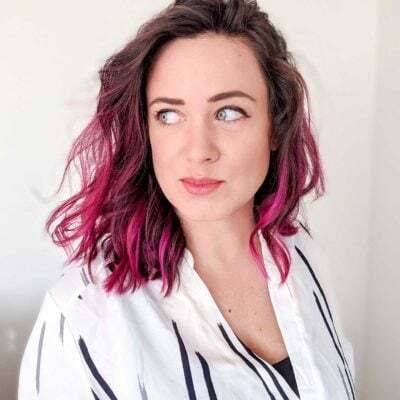 The Painted Hive has an absolutely gorgeous project that’s worth checking out in the same vein if you want to get a better picture! I love it! I will add that when I redid my closet, I didn’t account for purses and shoes enough. 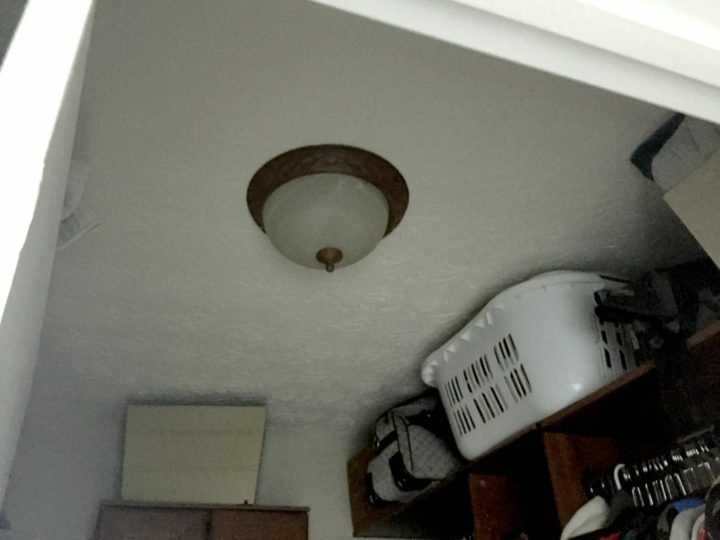 I put my purses above the doorway, which means I need to drag a chair over every time I want to get one. And I put my flat shoes on shelves, which stick out a bit too far. Crown moulding was a perfect, narrow solution to heeled shoes. I also put my closet rods just a bit too close together. Thanks for the info! Since my shoes are in a different closet, I won’t plan on space for them here, and purses aren’t really a thing for me either (over the years I have just decreased my stash to only the essentials). I do have a plan for my jewelry that sounds like a similar challenge to what you had (I’ll be losing the smaller drawers that currently contain belts and jewelry and will plan for them separately). Hopefully I’m turning the spaces into 3D this week to share soon! My suggestion is shallower drawers, for sure! With deep drawers you are stacking. The underwear at the bottom never gets up to the top unless you wear them ALL before doing laundry. Same for t-shirts/ tank tops etc. I find that with my deeper drawers I’ll wear the same 3 tank tops every week, while the other 3 never get worn. 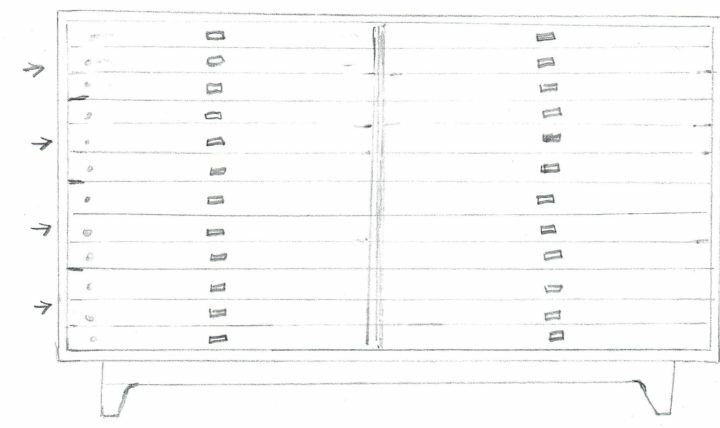 I’d say that unless you are very dedicated/committed to the “vertical file fold”, make your drawers no more than 2 “items” deep. A t-shirt drawer might only need to be 6 inches tall (even if you have 4 such drawers). A sweater drawer might be fine at 10 inches tall. Hi, there was a time when all the I.T. jobs were gone in my city and I ended up being a closet designer for about 9 months. In that time I designed probably 200 closets, and 70% actually got installed! A big thing I notice is in the back, you have hanging meeting with hanging. This is considered a no-no as it becomes impossible to see and access what’s in the back. You might be happier making the back wall all drawers and shelves. You didn’t give dimensions, so it’s difficult for me to give a better suggestion. Also, be sure to go with full-extension drawers. Our clients who didn’t get them usually had us come back and switch them out. 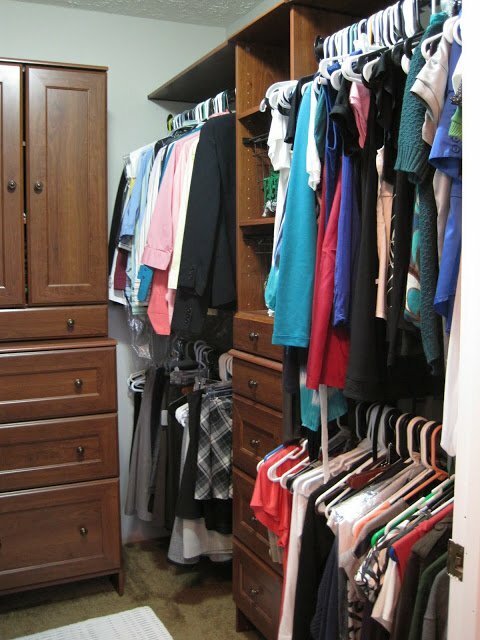 Floating closet systems are nice, you might want to change your closet flooring one day, and it’s INFINITELY easier. A final thing to think about is the ability to change things around in the future. I know this isn’t your forever home, but you never know what will happen in life, so being able to add and subtract components is a plus. Have you looked at a site like EasyClosets.com? Their stuff is WAY higher quality than what you can get at a big box store (it’s the same stuff California Closets, etc. use), and it’s still a DIY install. They were a huge competitor for my old company. If you would like to send me your plans with measurements, I would be happy to look over them and make some suggestions. Thanks Stacey! 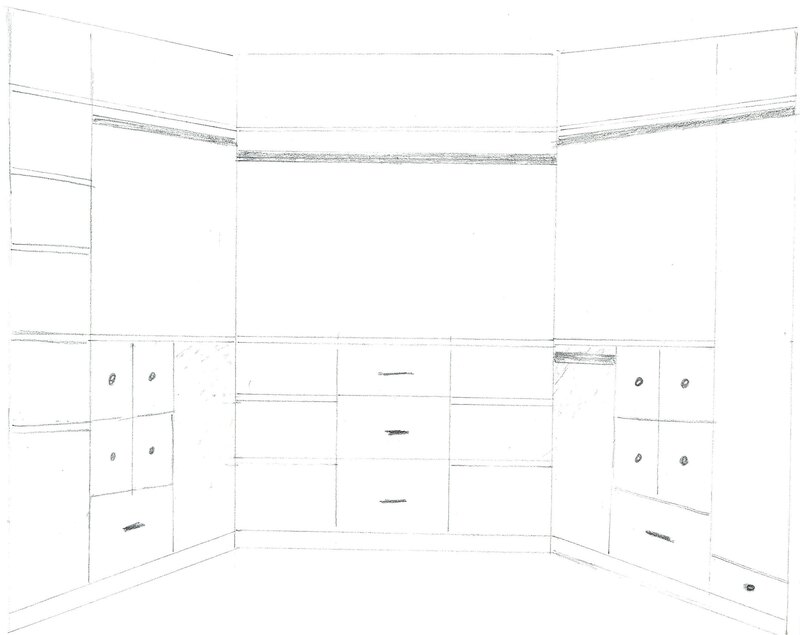 I really want to build custom without the pegged closet MDF stuff I see from modular closet companies, so I’m sticking with the custom plan for now. But thanks so much for the tip on the full-extension drawers… I think right now my existing drawers aren’t and you’re right that they could be much better! This is one of the projects I’ve been wanting to do. 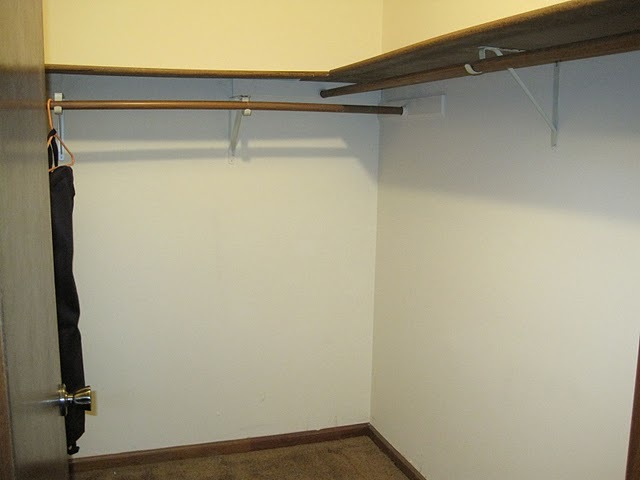 However, my master bedroom has a different closet situation. We have his and hers closets with bi-pass doors, which limits our options. I want to try and get multiple bars in there as well as somme drawers and shelves. I love the look of the cartographer drawers. Sarah, I have found that rolling my long and short t-shirts and placing them side by side in a shallow drawer allows me to see all of them at once. And then I use the deep drawers for globs of underwear, bras on one side and underpants on the other side. I also roll my heavy sweaters and sweat shirts and place them on shelves so the roll allows me to identify each sweater. Recently I made a huge purge of my closet and am so happy I did. Its taken me DECADES to be brutal about the purge method! Good luck with your project!!! I’m a member of the Rolled Clothing Club as well, but it’s still leading to some bottlenecks with my current closet situation (between that and the dresser). I purge with every laundry load now, so the amount of clothes is dwindling but I’m still a hoarder, so I’m trying to give myself both a solution that fits for how I purge my clothes and a good way to store everything that I keep. Thanks so much for your tips! Thanks for the tips! The narrower drawers are meant for the smaller things that I typically can’t keep organized anyway: bras, bathing suits, socks, etc. I am the type who just dumps it into a drawer, so those drawers were my #1 want with my new closet vs. what I have now. I also have sweaters that I want to store in the bigger drawers since they will stretch out when they hang and I need them nice and thick (just three or four sweaters wilL FILL my current drawers). I am also excited about the counters and have a plan for them as well (I’m keeping mum on that idea for now until it’s fully flushed out but I deliberately wanted that too). My only issue with the open shelves is that I am a MESS with keeping clothes organized, so that would make me feel more frazzled. Things like my socks, bras, underwear, bathing suits, and tank tops would go in those drawer areas where I want to hide my stuff from the world! But it’s definitely a personal preference thing… I have open shelves now and there are just too many instances of me trying to use the drawers over the open display areas. Best solution is to know your habits and build around that! We recently installed an Ikea ALCOT closet system. We spent a lot of time planning and it’s been great! The one minor thing that I wish we considered, was were to put the laundry basket. Our washer/dryer are in our closet as well so it makes sense to have a basket/hamper in the space as well. We’ve snuggled it in, but it’s one thing we didn’t think about. Hope that helps! Great tip! I’m not sure I would have thought of it either. Thanks, Emelia! I have a couple of baskets now and I NEVER use them enough for the amount of space they take up. One persons waste is another person’s must-have, I guess! I am with you on the shelves vs drawers. I’m %100 pro-drawer – especially with full extension. I had shelves with some drawers for 17 years; I now have all hanging and drawers, and it’s so much better (did a whole IKEA PAX system in the house after hiring a carpenter to rip out the mid-century totally nonfunctional by-pass closets in my master). 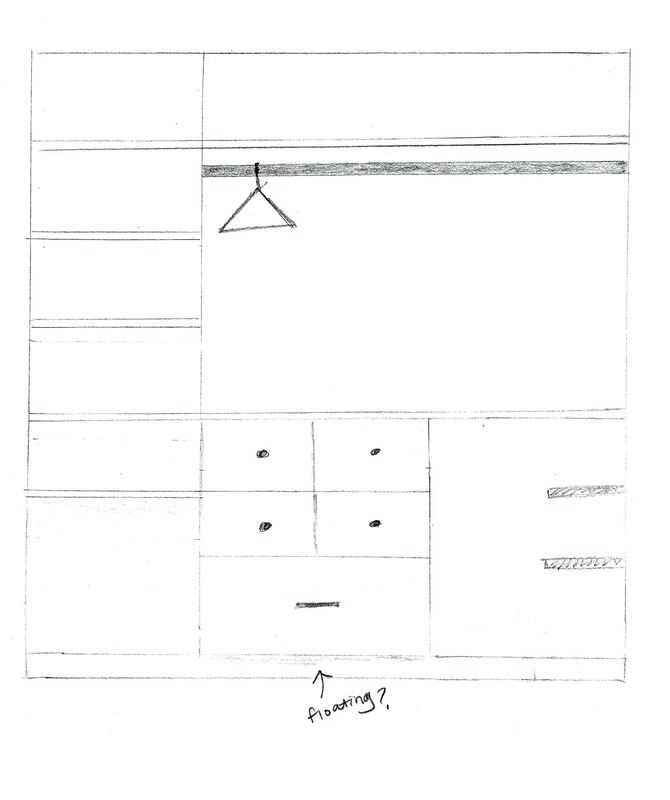 I might suggest (and this all depends on the space itself) that you look at existing drawer organizing systems (Target, Container Store, IKEA etc or certainly build your own) and use the dimensions of the inserts available to help plan. Being able to use the space in an organized way makes the putting away of stuff so much less tedious. It’s also nice to have a space to put the dirty laundry that’s dedicated – whether it’s a shelf with a basket that pulls out or some other space. I have a couple that fit at the bottom of the cabinet for the long hanging stuff. I just put the hanging bar up as high as I could comfortably reach, and there was space. While I love the look of “floating” pieces, I would worry about dropping an earring under there and how much of a pain it’d be to get it back (definitely not speaking from personal experience….). Haha, well, I guess my luck is that my closet will be small enough that I can fish it out easily? But still a good tip for thinking about. One more thing, you don’t have hanging meeting with hanging. It’s a decor error, as it becomes impossible to see and access what’s in the back. You might be happier making the back wall all drawers and shelves. Good luck with your project, how far gone are you with it now?? I haven’t gone very far with it yet, these are just ideas I’m kicking around. But you underestimate my ability to procrastinate doing laundry, so YES I absolutely would go through all of that underwear if I have that much! It’s part of the reason why I’m considering deeper drawers because the ones I use now aren’t enough. And hanging meeting hanging: I very much considered putting things in the corners. But it’s supremely valuable real estate that I’m not convinced I should close off the entire back wall with more shelves or drawers. The crossed bars would allow me to cram the rods full of clothes how I see fit. But I also get your point (you’re not the only one who brought it up). Food for thought, still thinking on it since I have time before this project begins (a few other projects are priority). Thanks!